The discussion around the potential 5G business case is echoed time and again, and the industry at large understands the 5G business case is questionable to say the least. In the wake of the mobile industry’s biggest event of the year – Mobile World Congress 2019 in Barcelona -- 5G’s potential for ROI was truly under the proverbial microscope. Even with enhanced mobile broadband (eMBB) debuting as one of the first services to be launched by 5G, carriers must avoid placing all their bets on its potential profitability, especially considering the low likelihood that consumers will actually pay more in the long-run simply for increased bandwidth and faster speeds. Instead, it will be services providing consumers with new and unique value, whether that be through innovative apps or services, that they will likely deem worthy of their investments. With the pressure to differentiate, innovate and cater completely to the whims of consumers, those who create services focusing on enhanced user interface (UI) – which can be a game-changer in a crowded market – and cooperating or partnering with other players to create new, niche service categories will be the ones to succeed. The landscape of competition will change too. In 5G’s “Age of Services”, carriers will be innovating alongside app designers including manufacturers, developers and even start-ups. Thus, to survive depends on seeking out new business models. Business model focused on connectivity: Providing enhanced, tiered connectivity services. Until now, two distinct tiers were available: 1) Some form of VPN, and 2) the ‘public internet model’ based on ‘good old college try’ assurance. 5G will enable the development and marketing of additional tiers based on service profiles and SLA requirements. However, ROI will require continual streamlining to ensure growing returns. Digital consumer experience: Which will rely on content generation, sales and marketing. Indeed, some service providers are considering application development (such as for autonomous cars or drone management) as a possible alternative. While application development is a feasible path to revenue generation, SPs will be competing with an ever-widening circle of new competitors, from manufacturers to start-ups. Monetizing APIs: APIs encapsulate logical business concepts like core data entities (think customer or product) or transactions (for example, “place an order” or “get price”) as services, where carriers and other organizations can now hope to monetize the data they accumulate on a consistent basis. This option leverages the information/data the service provider is already collecting to facilitate the creation of new services, while still enabling them to focus on their core capabilities and existing knowledge base. This third option is one I believe has the biggest, and perhaps the most intuitive, potential – a model in which the careful and strategic management of APIs is executed to positively impact profitability. For carriers questioning the potential profitability of monetizing APIs, the proof is in the pudding. Today there are thousands of public, partner and private APIs, many of which are leveraged to drive revenue either through direct monetization, indirect monetization or package monetization. This model is both sustainable and feasible, and moreover it’s an investment in the natural evolution of capabilities that most carriers already have internally. There are OTT providers around the globe leveraging other APIs in this way, so carriers looking to take this path to 5G success have models to follow and protocols to learn from. For example, applications like Salesforce, eBay and Expedia drive a great deal of revenue by providing value added services through third-party integration, and by offering value added features. With no need to reinvent the wheel, leaning into the API economy appears to be one of the most attractive options for carriers in this new age of services. By comparing the still nascent autonomous vehicles of today with the 5G-enabled autonomous vehicles of tomorrow, we can better understand the full potential of leveraging the API economy. While today’s models may come equipped with intelligent dashboards and seamless GPS, there is no exchange of data between the vehicle itself and others on the road, or even nearby infrastructure. 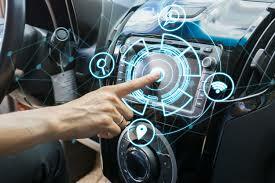 Tomorrow’s autonomous cars will no doubt make today’s models appear archaic, since they will leverage APIs in a much more sophisticated way -- enabled by 5G -- and relying on data transmitted from other cars on the road as well as surrounding infrastructure. APIs will provide the vehicles with real time access to exact location, nearby obstacles, weather conditions, shared destinations and more. How can carriers overcome these challenges and leverage the API economy to succeed in 5G? They will have to define the APIs needed for each application commonly across service providers, as well as promote simple interoperability. Also separating the “winners” from the “losers” in 5G will include the ability to collaborate with other carriers supporting dynamic contracts and dynamic service creation, cross-carrier service assurance and API integrators. Being so close to the tipping point of 5G, the choice to embrace a connectivity, content or API-based business model should come after careful consideration of a carrier’s strengths today. It’s no secret the 5G business model is under serious scrutiny, but the API economy demonstrates a solid foundation for ROI. For carriers to ensure this path leads to 5G success, they should remember: stay agile to foster fast innovation, remain flexible enough to optimize their business for the API economy; and maximize cooperation, competition and creativity. 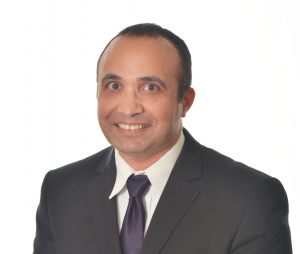 Hayim joined ECI as CTO to lead its innovation center and spearhead the efforts in the areas of NFV and SDN in 2015. Hayim is a key contributor to the company’s ELASTIC networks strategy which bridges SDN/NFV, big data, security and cloud services with advanced networking. Hayim brings vast experience in similar positions in the telecommunications hi-tech industry, which include work at Toga Networks, Tejas and Ethos. Hayim holds a B.Sc. in computer science from the Technion and a MBA from Tel Aviv University.